Call to high school art teachers and students! 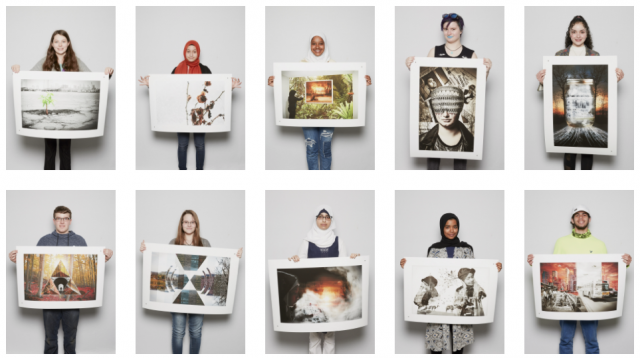 Capture Photography Festival and the Magenta Foundation are looking for High School-aged students to participate in the 2018 Flash Forward Incubator Program—an online photography project that integrates independent and interactive teaching methods, and offers opportunities to give and receive feedback from instructors, and the Capture and Magenta education team. With the final goal of a publication and professional gallery show as part of the Festival, the program encourages action, initiative, collaboration and the high quality production of artworks, and has the resources in place for students to build confidence, and find success. For more information on Incubator, please visit the Magenta Website. Flash Forward Incubator students at the Nora Frances Handerson Secondary School in Hamilton, Ontario, 2017. Photography by Natalia Dolan and Chris Thomaidis.